Paul Kariya, one of hockey's most dynamic offensive stars, who today announced his retirement from the game, lived up to the words he wrote over 30 years ago. He had just embarked on his scholastic life, but the book Kariya wrote, the one that contained the line that proudly stood out on the paper, stating, ‘I want to be a hockey player,' was anything but a make believe story. Kariya's mother, Sharon, still has the book, the very one her son authored. And while the drawings weren't exactly a work of art and the penmanship far from perfect, there was no disputing the message. ""Looking back, I think Paul knew he was destined to play hockey,"" said Sharon Kariya. ""It was always his first love."" For 15 NHL seasons and 989 regular season games, it was his passion. “For as long as I can remember, it was my dream to play in the NHL and I was lucky enough to have that dream come true,” Kariya, who scored 402 goals and recorded 587 assists, told NHLPA.com. “There are so many people that helped me throughout my career, whether it was coaches, teammates, family or friends. Born on October 16, 1974 in Vancouver, British Columbia, Canada, Kariya enjoyed a successful career even before playing at the University of Maine. As a collegiate freshman, he helped lead the Black Bears to a national title, was named a First Team All-American, and won the Hobey Baker Memorial Award as the top player in U.S. college hockey. Kariya was drafted into the NHL in 1993 by the Anaheim Mighty Ducks, fourth overall, but chose to spend the 1993-94 season with Maine and the Canadian National Team. When he finally donned an NHL jersey, Kariya was asked to alter his game, a request he initially felt uncomfortable with, but one he knew he could not resist. ""As a new team in the league, we needed to score some goals,"" remembered Kariya, who capped off his sophomore season by winning the Lady Byng Trophy as hockey's most gentlemanly player, duplicating the feat the following campaign, 1996-97. ""They wanted me to pass less and shoot more. I didn't feel too comfortable with it at first, but if it would help benefit the team, I couldn't say no."" Though he played in just 47 games during the 1994-95 season, his first in the NHL, Kariya still managed to score 39 points. The following season, Kariya made the hockey world stand up and take notice, recording 108 points along with being named a starter on the All-Star team. He spent his first nine seasons with Anaheim, signing as a free agent with the Colorado Avalanche prior to the 2003-04 season. He spent just one year with the Avalanche, signing with the Nashville Predators in 2005. 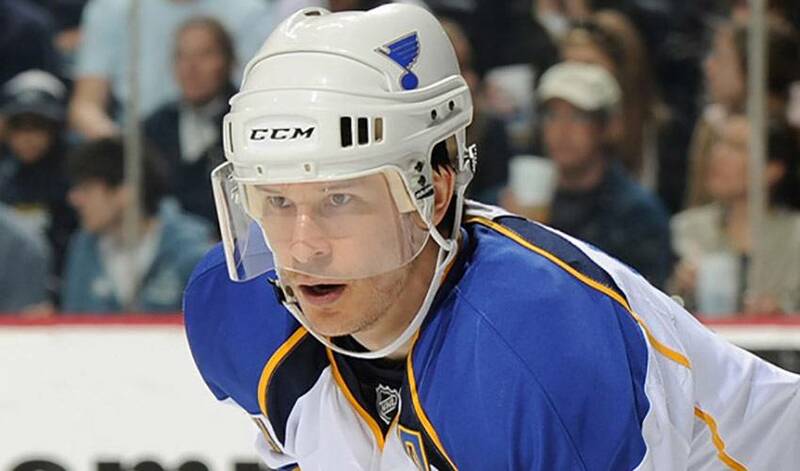 Kariya moved on prior to the 2007-08 season, this time signing with the St. Louis Blues. A three-time medal winner, one at the Olympics, World Championships, and World Junior Championships, and a seven-time All-Star, Kariya enjoyed an enviable career. But Kariya never needed the lure of wearing the red and white jersey to motivate him to be his best. Early-morning skates brought out the same enthusiasm. Those words come as no surprise to his mother. There's no doubt Kariya left his mark on the hockey world, a player whose love for the game never waned even in the most trying of times. He walks away from his professional hockey career a contented man.